The winding single-track road east of Clashnessie is scenic, but quite challenging for visiting motorists. However, passengers may spot ravens around the ‘Clashnessie pinch’ (where the road squeezes past Creag an Fhithich, i.e. the crag of the ravens) and common sandpipers, in season, on the shores of Loch na Bruithaich. There follows a stretch so straight that drivers have been known, briefly, to engage top gear. Up the hill, towards Strathcroy (NC0731), roadside gneiss outcrops bear dense, trailing mats of a dark-green leathery-leaved plant, bearberry Arctostaphylos uva-ursi. They may be safely inspected from some of the recently enlarged lay-bys. 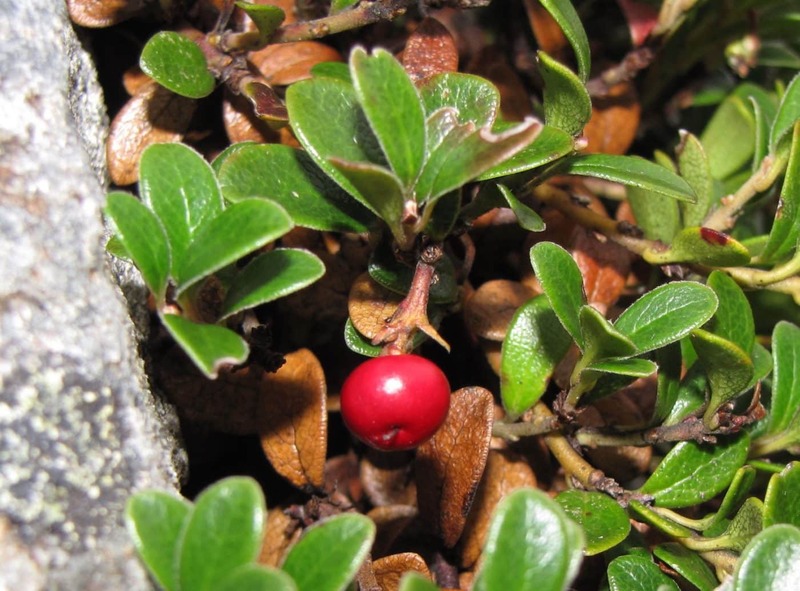 This evergreen ericaceous shrub has pink bell-shaped flowers from April onwards and shiny red berries from September. The berries are edible, but not usually plentiful. 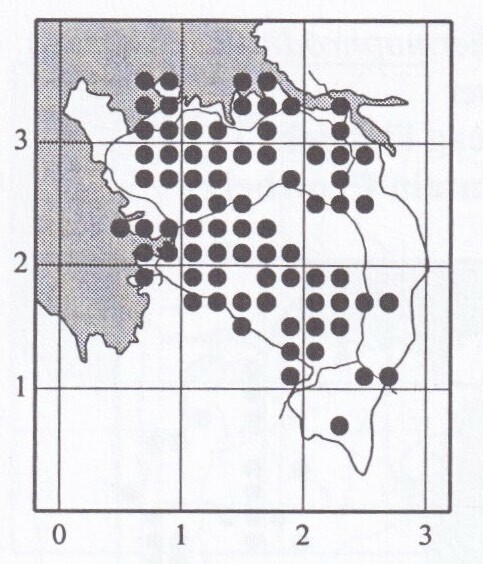 Bearberry is patchily distributed across lowland Assynt (see attached distribution map from the Flora of Assynt), and sometimes luxuriant in gorges, where it is protected from grazing and burning. 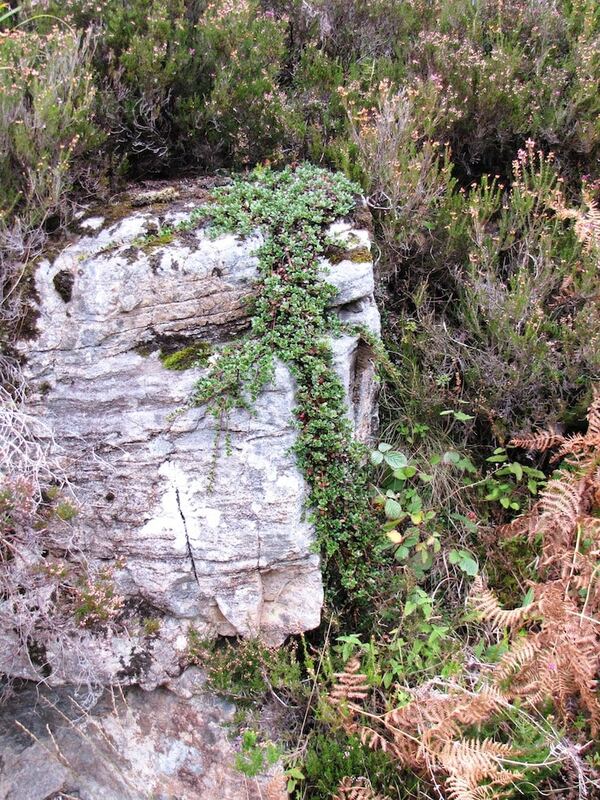 It is also a component of the dwarf shrub heath vegetation found at over 1000ft (300m) on the broken quartzite pavements of the middle ground on hills such as Canisp. 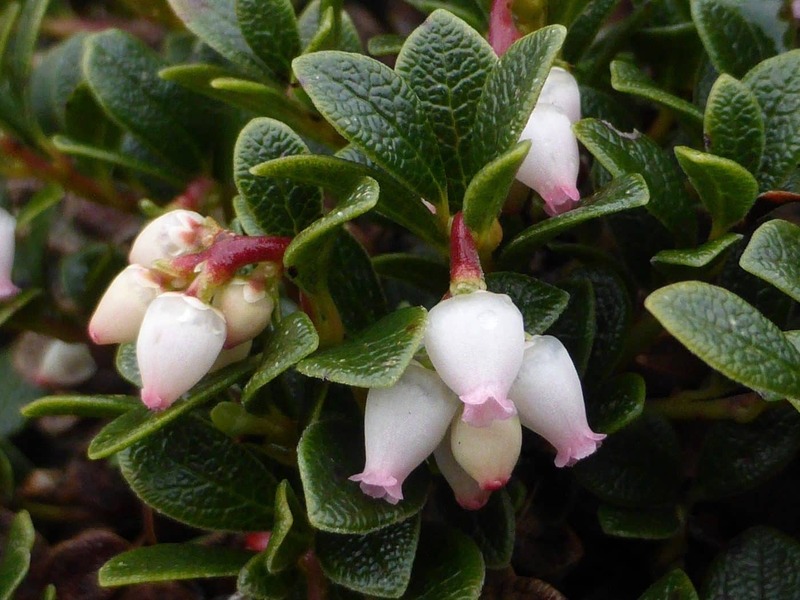 Here it occurs in an important arctic-alpine community with rarer members of the same family, such as alpine bearberry Arctostaphylos alpinus and bog bilberry Vaccinium uliginosum, and also prostrate juniper Juniperus communis nana.